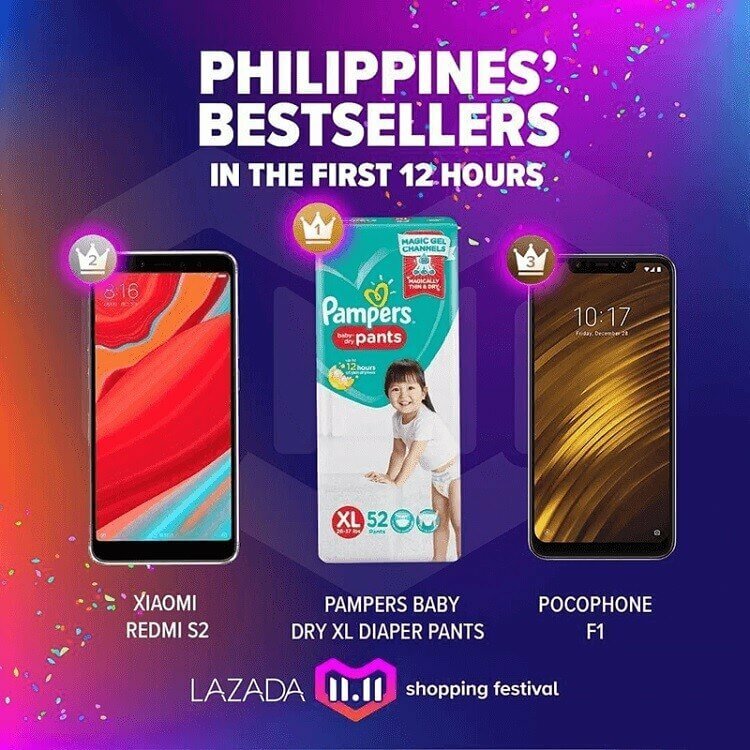 Lazada’s 11.11 Shopping Festival was a success, thanks to consumers who supported the campaign and actually enjoyed the biggest sale of the company. 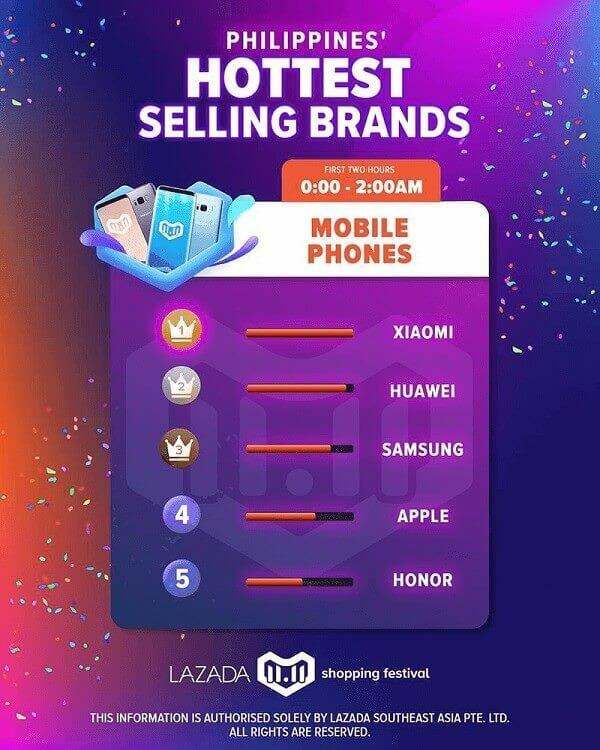 Meanwhile, Lazada revealed the hottest selling brands and products during the promo – and as you would have thought, Xiaomi topped other smartphone brands while its two devices claimed top spots, too. Xiaomi was able to seat on the top in the first two hours of the 11.11 Shopping Festival. The Chinese mobile manufacturer was followed by Huawei, Samsung, Apple, and Honor, respectively. On the other hand, the Xiaomi Redmi S2 and Pocophone F1 were named as the second and third best selling products. Unexpectedly, the two smartphones were battled out by Pampers through its Baby Dry XL Diaper Pants. Well, in this kind of event, we must really choose our needs over wants, isn’t it? As a recap, the Redmi S2 comes with a 5.99-inch HD+ screen, Snapdragon 625 chipset, 3GB RAM, and 3080mAh battery. It is armed with dual-rear camera setup composed of 12-megapixel + 5-megapixel sensors, and 16-megapixel selfie snapper. Both are equipped with AI capabilities to enhance your photos. It originally sells for only Php7,990. The Pocophone F1, on the other hand, loads better specs with its 6.18-inch FHD+ panel, Snapdragon 845 processor, up to 8GB of RAM, and up to 256GB of internal storage. It boasts 12-megapixel + 5-megapixel dual rear cameras, and 20-megapixel front shooter, too. Powering up the device is a 4000mAh juice with fast charging solution. You can get the Pocophone F1 starting at Php17,990. What can you say? Did you enjoy Lazada’s 11.11 Shopping Festival?